Here is some additional background information about how the SPECTRE and MELTDOWN exploits were discovered, plus a link to the research papers that describe the exploits in detail. The news media inappropriately, albeit understandably, referred to these as “Intel CPU” bugs or defects but they are not specific to Intel nor are they defects. The exploits take advantage of a basic feature of pipelined architecture CPUs, which is all high end CPUs now. You can read the research papers that explain the problem in detail at https://spectreattack.com/. Members of Google’s Project Zero Group found the problem; they are continuously doing research seeking new security vulnerabilities. Read their papers if interested in the super details of these security exploits. The exploit is due to pipelined architecture and speculative and out of order execution, items that have been incorporated into personal computer CPUs for over two decades, to improve performance (make programs run faster). Understanding the SPECTRE and MELTDOWN papers, at the link, does require an understanding of system and processor architecture.This is a very technical subject and we would not expect most new App Inventor programmers to understand such topics! That said, computer architecture is a fascinating subject if you wish to dive in at some point. In a future video I hope to introduce computer and processor architecture to help you understand the issues to see how this problem evolved – and how the exploit is not very obvious either. I do think this is a big deal for server farms, but, after patches to OS, apps and firmware, probably not a huge deal to most of us running our personal computers. Many videos demonstrating benchmark performance before and after patching have been posted on Youtube. I just watched one that tested before and then after installing both Intel firmware patches and the Windows 10 updates and they found negligible performance change across a broad set of benchmarks – except for one test of 4K READ blocks from SSD disk (I think it was). My current view is most of us will not see noticeable changes but that there are some scenarios, and specifically some server scenarios that may see significant performance issues. As with any other security vulnerability that is discovered, it is important to keep current with software updates, including Android, iOS, Windows, Linux and Mac OS X, plus app updates and so forth. The ability to code is an important part of literacy and will enable kids to learn about creative problem solving and how to communicate their ideas. Engineers at Ryze have made Tello programmable with Scratch, an MIT-developed coding system that allows kids and teens to learn the basics of programming. Kids can program their Tello to string multiple flips into a single command or create their own flight patterns using MIT Media Lab’s easy-to-use block-based coding interface called Scratch. 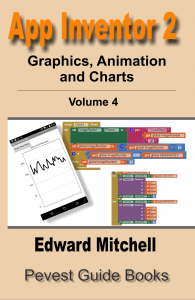 The Scratch programming system came before App Inventor and inspired the “blocks” programming model used in App Inventor. Yes, but Android has already been updated to deal with it. What is the “Intel CPU” Exploit? Well, its not just Intel, as first described. The SPECTRE exploit works on processors from many vendors. The MELTDOWN exploit might mostly impact Intel processor (but could affect some others). What are these exploits and what do they do? This first video is a high level overview. I hope to add another video going into more details – which means explaining a bit about what goes on inside your computer or smart phone processor and computing system. Ignore the type “doe” in the FB link below – that’s been fixed on the web site! But the typo in this tittle, in the middle of the video should say “What do THESE exploits actually do? MIT App Inventor team still needs donations to make iOS/iPhone App Inventor happen! The MIT App Inventor team still needs donations by 31 December 2017 to make the iOS version of MIT App Inventor for iPhone and iPad a reality! They are just under half way to their fundraising goal. If you have been thinking about contributing a donation – but got busy and forgot to follow up – now would be a great time to help them out! Their crowdfunding donation web page is here. “We’re proud of the reach of MIT App Inventor—more than 6 million users worldwide—and we’re grateful for everyone who’s tried us out. Some users have really gotten to know our system, constantly testing its limits, teaching other users, and helping us improve. It’s been amazing to see what you can do. We’re so thankful for your help, and today we’re hoping that you might be willing to help us out in a different way. As you know, there’s been an incredible demand to release App Inventor for iOS—and we’re doing it now. To help cover the cost of developing App Inventor for iOS—which includes salary and benefits for two full-time employees—we’re hoping to raise $100,000 through a crowdfunding campaign that runs through December 31st. As one of our users, we would love it if you were willing to be an ambassador for this campaign: share it through friends and colleagues by email or social media. It’s easy to do, and only takes a few minutes. If you’re interested, just reply to this email, and we can sign you up with a custom, shareable link to spread the message about our campaign. MIT App Inventor remains, and will always be, free to use—we promise. Central to our mission is the idea that everyone should be able to learn to code, no matter their background. If you’re able, we hope you can help us make App Inventor available to even more people, across platforms, by sharing our campaign. Or, if you prefer to give by Paypal, donate here. Disclaimer – I have no connection to MIT or the MIT App Inventor team. I am just a enthusiastic software expert that thinks MIT App Inventor is a tremendous advancement in software development! MIT has announced that App Inventor will run on iPhones and iPads, hopefully by spring of 2018. You can help make that happen by making a donation to their effort – go to http://appinventor.mit.edu and follow the links to make a donation! Did you know that you can run App Inventor Android apps on Windows and Mac OS X? Sure can! All you need is to install an Android simulator for Windows or Mac and then install your App Inventor .apk app into the simulator. This way you can run your apps on Windows or Mac! This short video shows you how to do that – take a look! 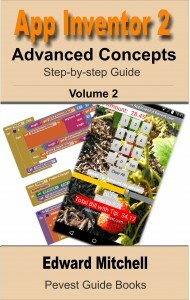 There are several Android simulators for both Windows and Mac OS X. This video demonstrates using BlueStacks for Windows (also available for Mac OS X) and Nox App Player for Mac OS X. Several people have asked me if it is possible to create an Android app without using a computer. Yes, it is possible! All you need do is access appinventor.mit.edu in the web browser on your Android device. App Inventor works the same as it does on a computer. You’ll need to go in to Android Settings | Security and check the option to allow installation of apps from Unknown Sources. Then, in the App Inventor web interface, you will use Build | App (save .apk to my computer). 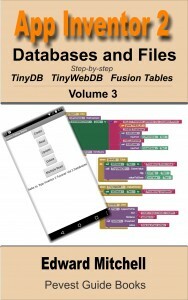 The app will be “compiled” (translated into an executable program file for Android known as an “apk” file – short for Android package) and then downloaded to your computer. The download part will vary depending on what browser you are using as well as what version of Android you have. You might find the download icon (a down arrow) in the notification bar. Swype down from the top and then select the downloaded file, open it and select Install to install your app. Once installed, you can run the app directly – or the app will appear in the list of apps installed on your device and you can run it directly from the app list. The exact way this all happens will vary depending on your system and browser. The following video tutorial shows I how I did this on Android using the Opera browser. Note that I used a Bluetooth keyboard and a Bluetooth mouse – so the screen looks like I am using a computer because I am not touching anything! The MIT App Inventor team accepted the Council’s Distinguished Leadership Award for working to make application development universally accessible. Congratulations to the team! Well done! Well deserved! What is Appy Builder? Why should App Inventor programmers be interested? Appy Builder is an independent and enhanced version of MIT App Inventor that builds upon App Inventor by adding many new features. For the most part, Appy Builder’s interface is nearly the same as that of MIT App Inventor. 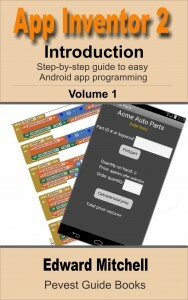 If you have been programming apps with App Inventor, switching over to Appy Builder is very easy. Many components have more features. For example, a Label in MIT App Inventor has six properties but in Appy Builder, a Label has 16 properties that you can set. You can control the use of the camera flash in Appy Builder but not in MIT App Inventor. The above is only a general summary to give you an idea of the enhancements available at Appy Builder. MIT App Inventor showed the world that programming can be made easier by using a graphical user interface programming model. Further, App Inventor demonstrated that remarkably powerful apps can be created using this simplified approach to programming. Appy Builder takes the App Inventor ease of use model and extends that to add more capabilities. Clearly, drag and drop programming makes programming accessible to more people. Appy Builder is an important contribution to the continually improving and evolving world of app development. How to Use Appy Builder? And sign in for a free account or a paid account. Paid accounts offer more features and capabilities. Try it out! In addition to the generic “Free” account, you can also get 30 days free access to their Gold account to learn about their more advanced features and decide if those features are right for you. I will be publishing tutorials on some Appy Builder features – I know that many readers are already looking for solutions that are provided by Appy Builder.